No, it's not a sequel to Shaq's "Kazaam"
Billy Batson rides SEPTA, sorta, in "Shazam!" Next year's DC Comics movie "Shazam!" was spotted filming in Philadelphia over the weekend, visiting our city after shooting the majority of scenes in Toronto. If you're unfamiliar with what's going on in the DC universe, "Shazam!" is a superhero film based on the comics of the same name that debuted way back in 1939. It is, unfortunately, not related to Shaquille O'Neal's masterful cinematic debut in 1996's "Kazaam." After some back and forth on production over the last decade, filming for "Shazam!" finally began in January of this year, starring Asher Angel and Zachary Levi. 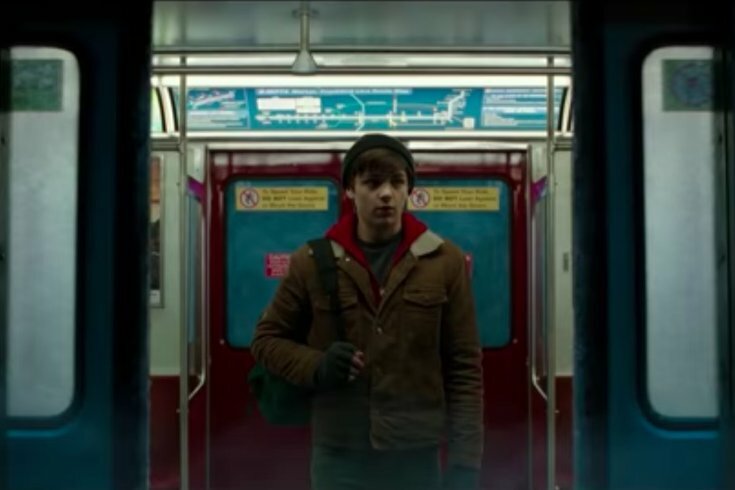 Despite filming mostly in Toronto, the story is set in Philly and follows a 14-year-old orphan named Billy Batson who finds out he can transform into his favorite hero by saying, of course, "Shazam." Magic! The movie's first trailer was unveiled at Comic-Con in July, featuring a not-very-authentic-looking SEPTA map. In the case of "Shazam" however, SEPTA is not the smelly hellscape we currently know, but instead a transportive vehicle delivering Billy to a different realm. Some on social media spotted the movie filming at the Philadelphia Museum of Art, the production apparently taking advantage of the site's Christmas decorations for the movie's wintertime setting. Philadelphia photographer HughE Dillon caught some shots of production, which wrapped at the museum Sunday evening. Shooting lasted from about 6 p.m. through midnight. The only other reported scenes filmed onsite are aerial and establishing shots of the city. "Shazam!" is scheduled for release on April 5, just a few months before "17 Bridges," another Hollywood production shot in Philly, is released.